An unpleasant experience can sometimes turn into a great idea. That is the case of the short film WE’VE GOT COMPANY, our third movie shot entirely on an iPhone that was awarded Best Sound at its premiere at Bratislava 48 Hour Film Project. The story of creation of this film is this one: Stepan Etrych, the director, went one of these rainy autumn days to the cinema to watch a movie. A couple was sitting near to him, and they were commenting very loudly on the film all the time. Of course, they would have done it better. When you want to watch a film, this sort of company is of course not what you really desire. When we were discussing the idea for the iPhone film, Stepan came with the idea to write a story about such a smartass guy that – sitting at home – is all the time commenting on a film he is watching. “That couple in the movie theater were very annoying, so I have to tell them to shut up. Anyway, now I am happy for them because they gave me a story,” Stepan says. We shot the WE’VE GOT COMPANY in just two days. The conditions of the 48 festival were the character of Peter Drotar, music composer, a line “Whoever is late pays a fine” and a prop – a wallet. We draw a romance genre along with a fable. We put both in the film actually, with some other too. The movie was entirely shot on a an iPhone 6S Plus in a 4K resolution. We shot our earlier films Bubbles Don’t Lie and Redemption on an iPhone too. The director and cinematographer Stepan Etrych was wondering about the aspect ratio of this new film deeply. To shoot it in a 2.39:1 anamorphic widescreen, or just 16:9 television format? “I love the anamorphic look, but I decided for the 16:9. It is better for the story, because very important part of it is a TV screen the main character is watching. With 2.39, we would loose a significant part of the image shown in the TV,” Stepan explains. 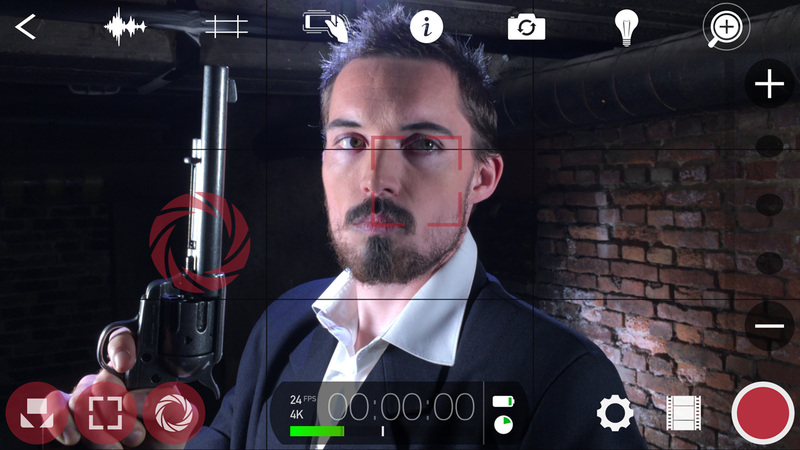 The movie was shot on an iPhone using the FilmicPro app. “This app is great, I shot with it my previous iPhone films. It simply gives you manual control over the phone, so you have the feeling you shoot with a real camera. You can control manually everything, from the white balance, exposure to the focus,” cinematographer Stepan Etrych explains. 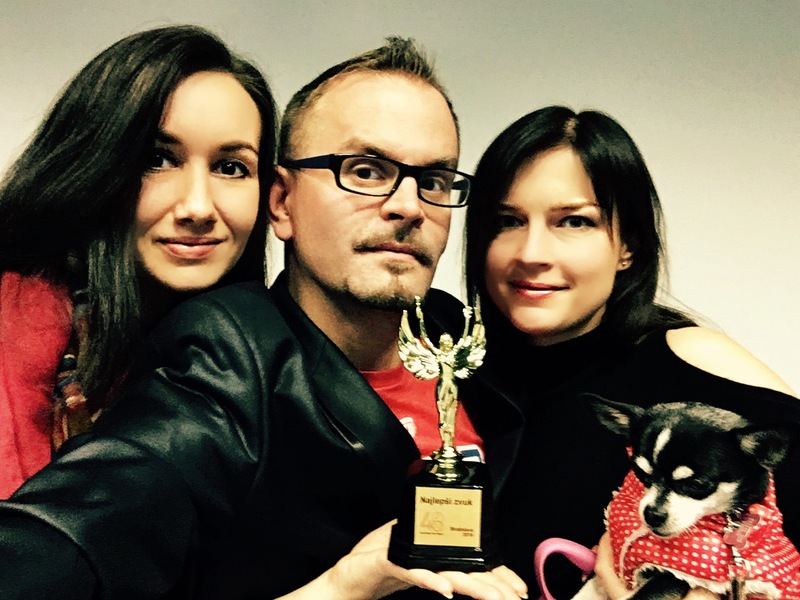 Actress and a make-up artist Katka Etrychová, director Stepan Etrych and actress Zuzana Krajickova (L-R) with the Best Sound Award from the 48 Hour Film Project, Bratislava.